We walked across Exposition Blvd, southbound towards the Coliseum. 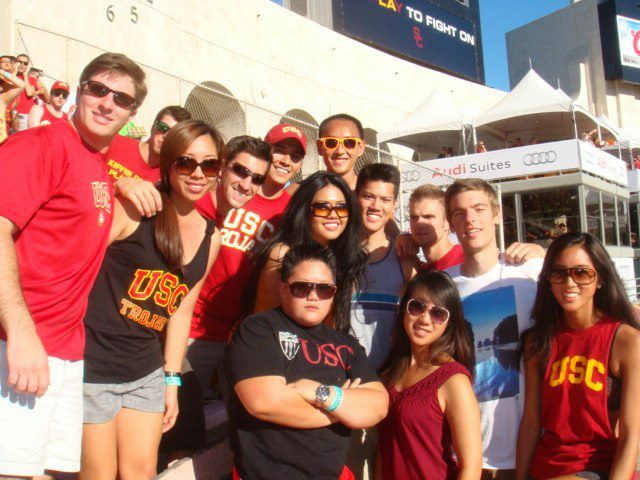 I had a few former Bruins in tow and I was eagerly awaiting the opportunity to introduce them to 'SC football. I wanted to show them the beauty of undying school spirit, the look of a campus adorned with cardinal and gold, and for the first time, being on the winning side of a blowout football game. Flashback to September 13, 2008, my first college football game. It was a game of epic proportions, #1 ranked USC vs. #5 ranked Ohio State. We dressed in cardinal and gold. We painted our cheeks cardinal and gold. We bled cardinal and gold. It was only 8am in the morning, yet the line in from of the Coliseum looped halfway around the building. We joined the throngs of SC fans waiting outside of the Coliseum for the start of the 5pm game. The game wasn't even close yet we stayed until the end, watching as USC manhandled Ohio State 35-3. This time around, the USC v. Hawaii game didn't have the same energy preceding the game. Even though this is our season of redemption, playing against the Rainbow Warriors doesn't generate the same amount of buzz. Plus, it's hard to replicate the energy and excitement we possessed as an undergrad during our time as a grad student. There are many differences that I noted. As a grad student, we started pre-gaming around 1pm. As an undergrad, we were already lining up outside of the Coliseum around 1pm. As a grad student, we sat in the corner of the stadium almost directly behind the field goal post. As an undergrad, we fought to get front row seats at the 50 yard line. 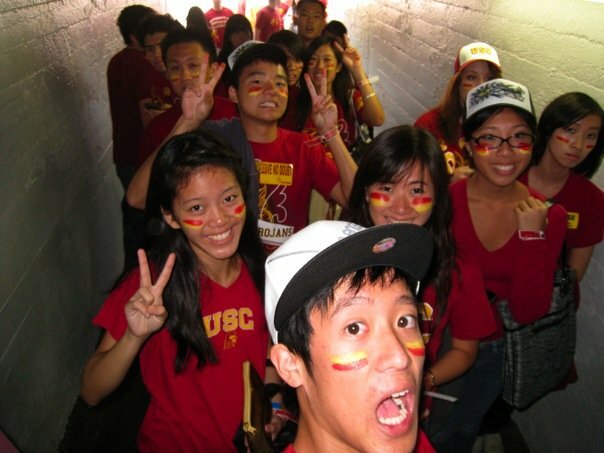 As a grad student, we wore less USC paraphernalia. As an undergrad, we painted our face and bodies (for the guys) with cardinal and cold. 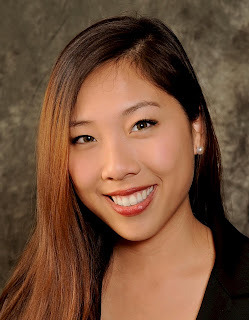 As a grad student, there are still many classmates who are loyal to their alma mater's football team. 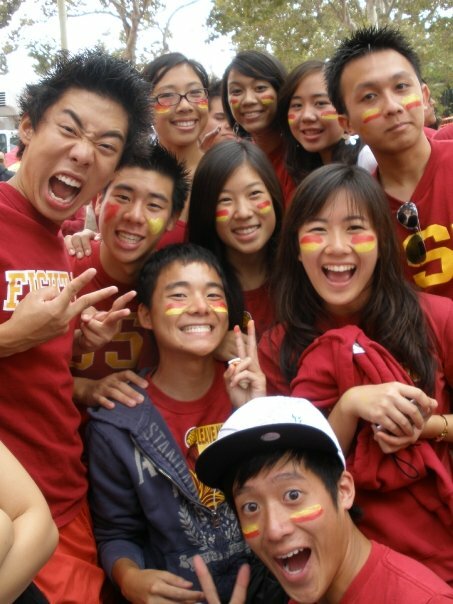 As an undergrad, EVERYONE is a Trojan fan. It's a different experience and one is not necessarily better than the other. It's just different.